Seat cushioning is the new david shaw luxury seating foam. Seating is webbed. Back zig zag sprung for optimum lumber support then covered with luxury foam and tetron, arms have double layered foam and tetron. 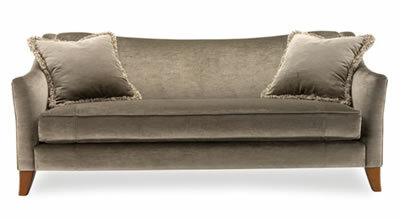 The sofa comes standard with two large feather filled scatters.